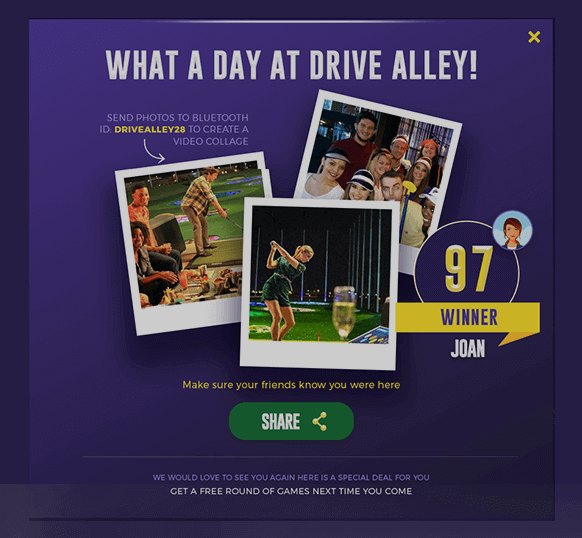 In the US, indoor golf entertainment parks have been picking up traction for decades now. But so far, the experiences, from picking your bay to keeping score, have largely been physical. But if there’s technology to make things simpler, might as well use it, right? 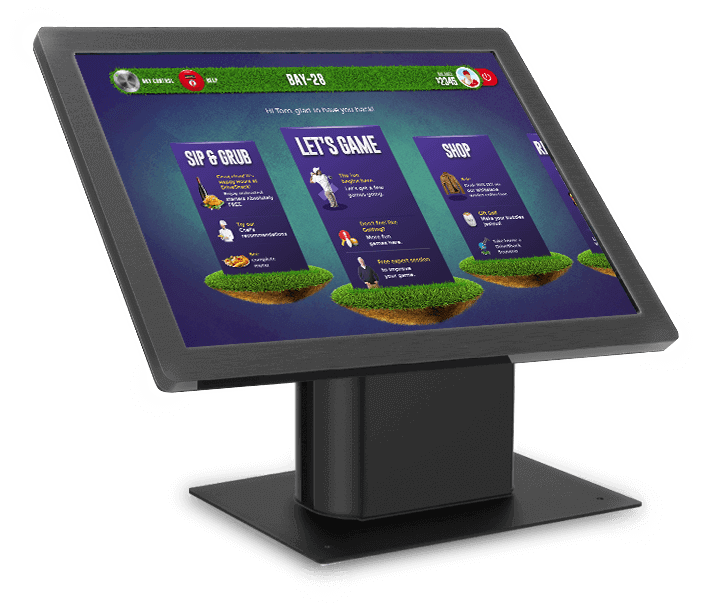 That’s exactly what we did for one of America’s upcoming golf entertainment parks by designing an interactive kiosk interface. 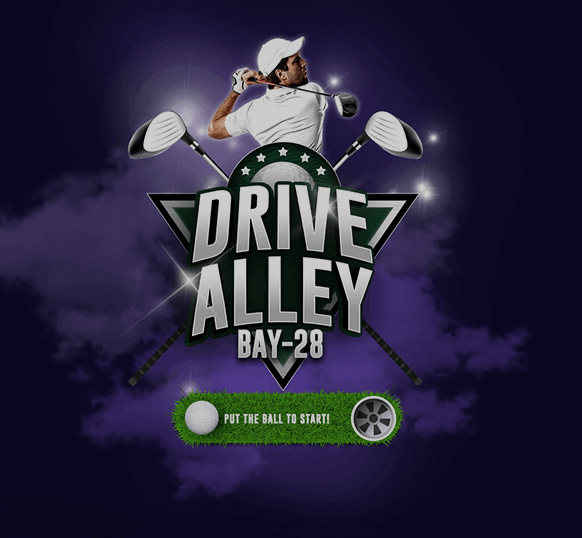 In the US, indoor golf entertainment parks have been picking up traction for decades now. But so far, the experiences, from picking your bay to keeping score, have largely been physical. But if there are kiosk UX design and technology to make things simpler, might as well use them, right? 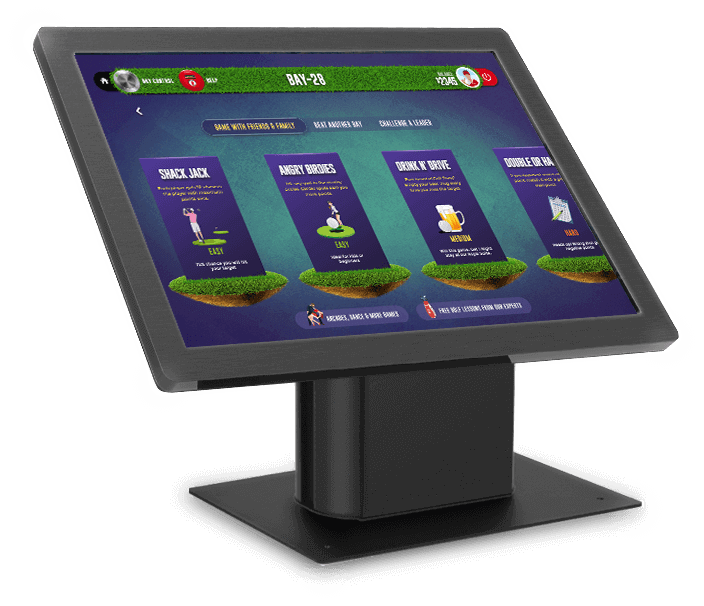 That’s exactly what we did for one of America’s upcoming golf entertainment parks with kiosk UX design and interactive interface. 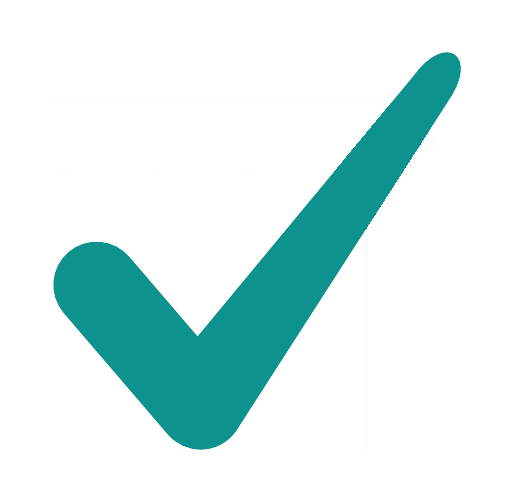 Being a UX audit agency, we dove into UX challenges to design a delightful solution. 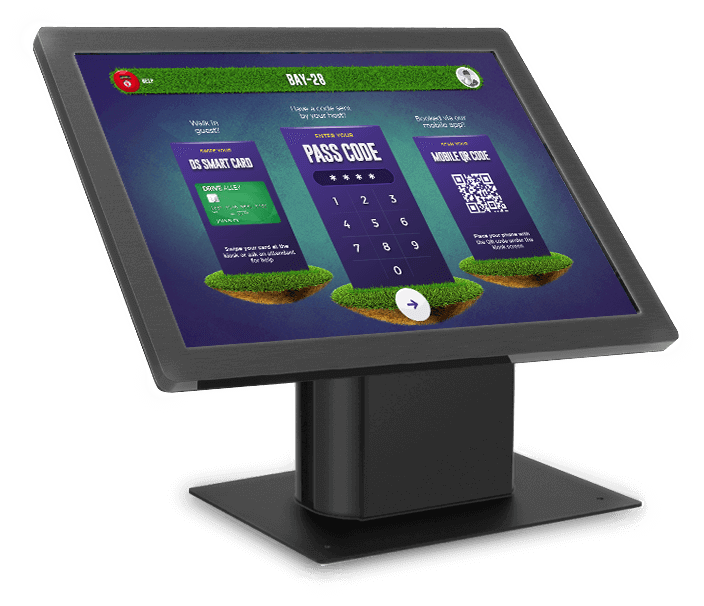 From start to end, the user experience on the kiosk is kept to be highly visual. A cover fold carousel shows one option at a time, making for quick yet informed decisions. The iconography and imagery has been simplified to an extent that users need not even read the captions. 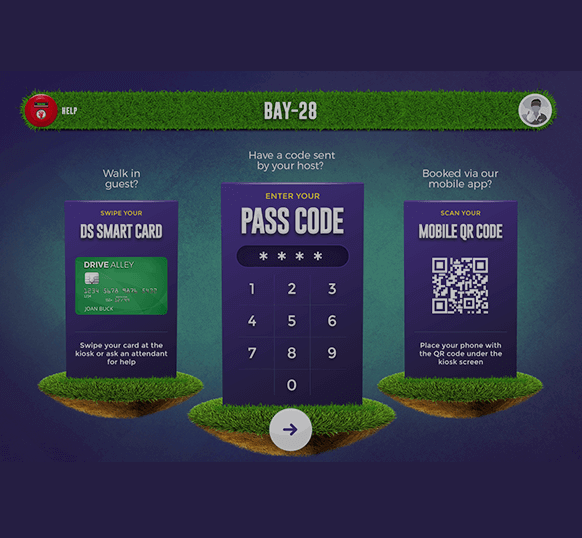 Users can browse using the swipe interaction and select using the tap interaction. 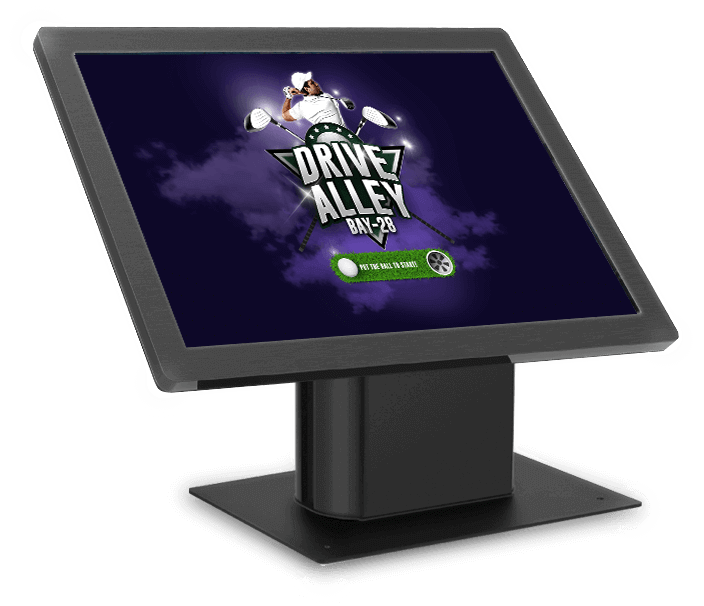 Throughout the kiosk interface, the tone of voice has been kept to be casual and conversational. As if a person is talking to the user. The text is kept to be jargon free to boost clarity so even newbies know how to go about. 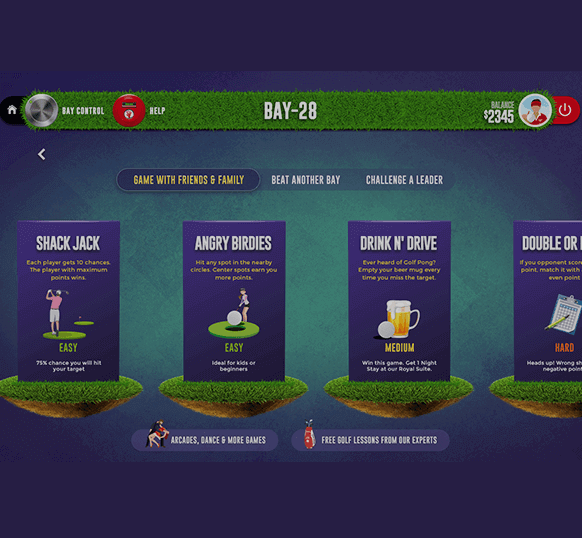 Not just that, the interface intuitively suggests difficulty levels, multiplayer options, contests, and offers. FOCUS ON THE GAME... DESIGNED FOR NOTHING ELSE. 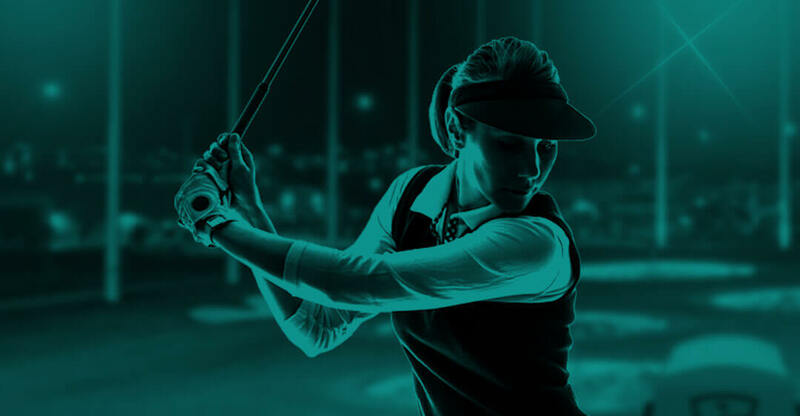 While golfers would focus more on hitting the hole, the entertainment park too needs to focus on generating more and more revenue and ensure retention. 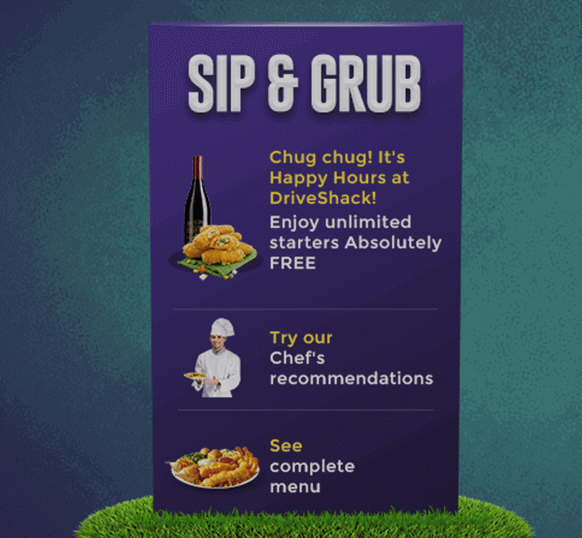 Through UX Design, we helped them do just that by subtly placing promotions without distracting the users from what they’ve come for. 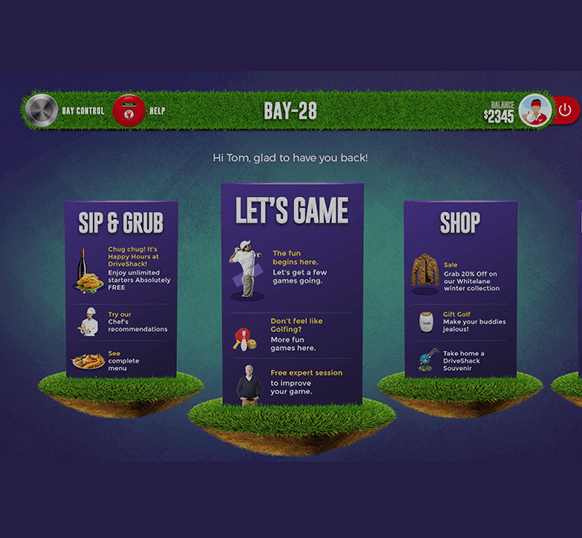 Once users tap on any of the subtle yet catchy promotions, they’d see a bundle of cards to choose the right deal from. User engagement could mean that you could share your experiences on social media channels in a creative video collage. It could also mean that whatever one does on the kiosk interface is engaging. 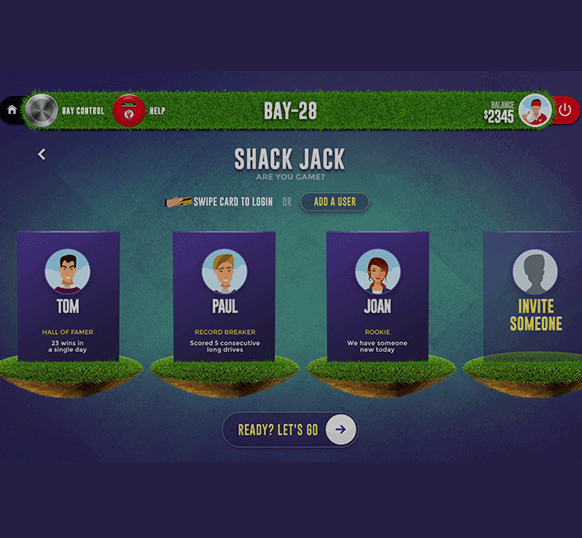 From how one learns about the game options, tips and difficulty levels, to built-in challenges; all of it can be designed in the most visual, intuitive, and delightful way possible. User engagement could mean that you could share your experiences on social media channels in a creative video collage. It could also mean that whatever one does on the kiosk is engaging. 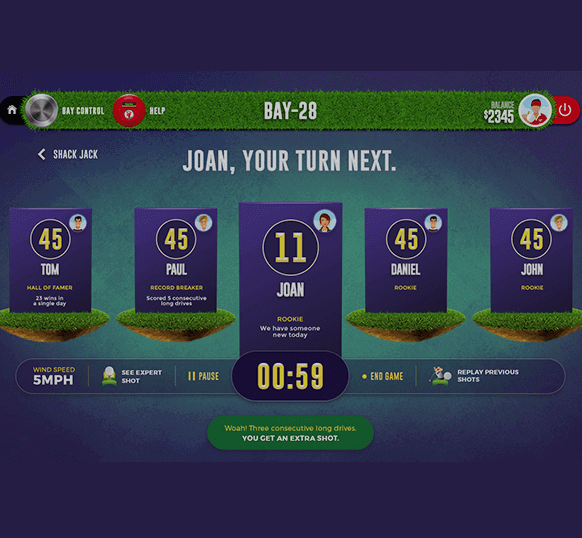 From how one learns about the game options, tips and difficulty levels, to built-in challenges; all of it can be designed in the most visual, intuitive, and delightful way possible. .